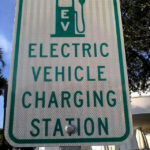 The U.S. electricity sector is eyeing the developing electric car market as a remedy for an unprecedented decline in demand for electricity. After decades of rising electricity demand, experts say the utility industry grossly underestimated the impact of cheap renewable energy and the surge of natural gas production. For the first time ever, the Tennessee Valley Authority is projecting a 13 percent drop in demand across the region it serves in seven states, which is the first persistent decline in the federally owned agency’s 85-year history. Read more here. The Solar Foundation has released its new Solar Jobs Map, a follow up to the National Solar Jobs Census 2017. Here are Nebraska’s 2017 statistics. Update: 131 RE100 companies have made a commitment to go ‘100% renewable’. Read about the actions they are taking and why. Central Texas city wants to pay people to install solar panels, KXAN. A central Texas town that already uses 100 percent renewable energy is working out a plan to generate more electricity locally so it can stop buying power to meet demand. Saudis, SoftBank Plan World’s Largest Solar Project, Bloomberg. Venture may cost $200 billion, add 100,000 jobs in the kingdom. Plan envisions 200GW of solar capacity in Saudi Arabia by 2030. This entry was posted in NewsBlog and tagged Electric Vehicles, energy storage, fossil fuel divestment, global renewable energy development, green bonds, Nebraskans for Solar NewsBlog, renewable energy news on March 30, 2018 by Helen Deffenbacher. The Nebraska and Iowa-based nonprofit, the Center for Rural Affairs, recently published a number of publications focusing on renewable energy in Iowa. Its most recent research publication, entitled “Powering Iowa: Rural Perspectives on Iowa’s Renewable Energy Transformation,” highlighted current opinions on various renewable energy issues, such as wind turbines and transmission line development. In addition to the center’s study on opinions of renewable energy, the center authored a white paper on wind energy ordinances in the state and a second publication examining incentives for tax revenue from transmission lines. Read the entire article here. Of the energy sold to members from Tri-State, about 30 percent was generated from renewable sources last year. That’s a considerable increase from the 17 percent reported in 2007. 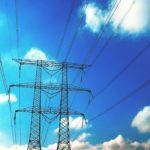 “That is the largest percentage of renewables in generation and transmission companies across the country and one of the highest of any utility in the U.S.” said Farnsworth. Included in Highline’s renewable projects is the Trailblazer Waste Heat Generation Site. Emphasizing its value to Highline, Farnsworth said it has brought $2.3 million to Highline’s bottom line since 2009. Highline is currently looking at options for a utility scale solar project that could provide savings to members over the next 20 to 25 years. NRECA’s Interactive Map: Cooperative Solar Across the Country, shows that 443 cooperatives in 43 states utilize solar as a source of power. Eight Nebraska co-ops currently use solar, following: Georgia (42), Minnesota (37), North Carolina (26), Tennessee (24), Colorado (23), Indiana (23), Iowa (22), Oklahoma (21), South Carolina (21), Wisconsin (19), Arkansas (18), New Mexico (16), Mississippi (14), Illinois (13) Texas (11), Virginia (11), Alabama (10), Florida (9), and Wyoming (9). Click here and scroll down to individual states’ information. NRECA’s Interactive Map: Cooperative Wind Across the Country, shows that.564 cooperatives in 37 states use wind as a source of power. Thirty Nebraska co-ops utilize wind energy, following Minnesota (44), Missouri (41), Indiana (38), and Iowa (31). Click here and scroll down to individual states’ information, including a list of all 30 Nebraska cooperatives using wind. 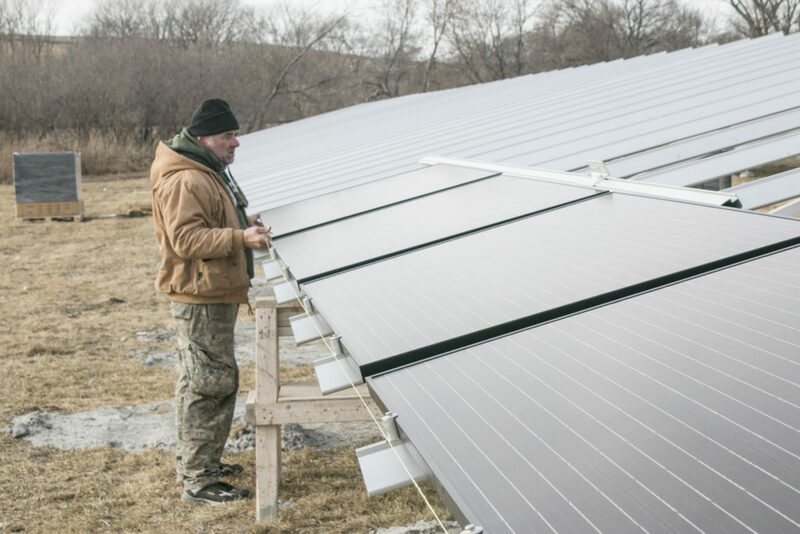 This entry was posted in Nebraska / Midwest News and tagged Center for Rural Affairs, electric cooperatives and renewable energy, Highline Electric Cooperative, National Rural Electric Cooperative Association, Nebraska Cooperatives utilizing solar and wind energy, Rural Electric Cooperatives, Tri-State, waste heat generation on March 29, 2018 by Helen Deffenbacher. It’s been a long road in the fight to protect our land, water, communities, and climate from TransCanada’s proposed Keystone XL tar sands pipeline. Right now, a focus of the fight is what is happening in the courts, where Sierra Club and our allies are continuing our work to stop this terrible project. In November, the Nebraska Public Service Commission (PSC) dealt TransCanada a major setback by rejecting the company’s preferred route through the state and instead approving an alternate route. Though an outright rejection would have been the best outcome, this was still a victory for our side. TransCanada had previously called the alternate route unworkable, and the PSC’s decision creates new legal issues, raises new environmental review questions, and affects a whole new set of landowners who have not agreed to let TransCanada build on their land. Click here to continue reading. Doug Hayes is a staff attorney with the Sierra Club’s Environmental Law Program. 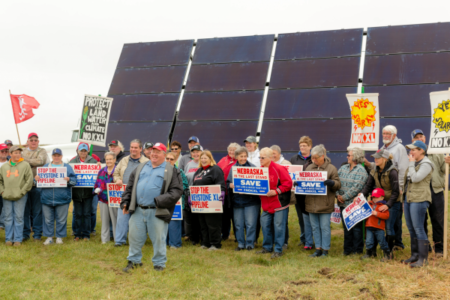 Photo: Nebraska landowners and supporters celebrating completion of a Solar XL project. 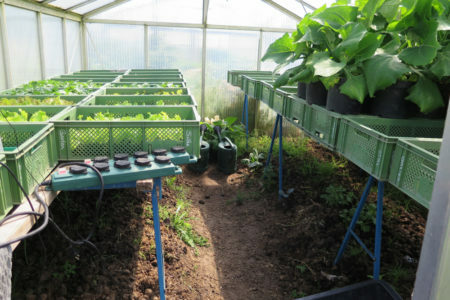 Solar XL – Scroll down for photos of projects. This entry was posted in Nebraska / Midwest News, NewsBlog and tagged Keystone XL, Nebraskans for Solar NewsBlog, renewable energy news, renewable energy+storage news, solar XL on March 28, 2018 by Helen Deffenbacher. Last month, Omaha’s public utility unveiled details for a program that will help customers buy solar power without having to install their own panels. Omaha Public Power District’s community solar program follows a year of stakeholder meetings, but some critics say it’s a stretch to call it “community solar” because participants won’t share enough of the financial benefits. “It’s not really community solar,” said Don Preister, a customer who recently put solar panels on his home. Click here to read more. The author of a Nebraska bill to broaden public comment on wind farm permits in the state says he’s prepared to bring a harsher measure if it doesn’t pass. 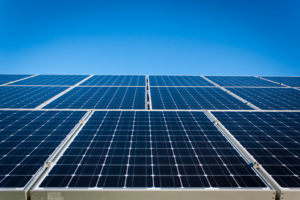 Customers in Ohio and Nebraska are among those taking advantage of a new and simpler technique for connecting solar arrays and other renewable energy systems to the grid. This entry was posted in Community-Scale Solar, Nebraska / Midwest News and tagged ConnectDER, Karen Uhlenhuth, Midwest Energy News, Nebraska wind energy development, Nebraskans for Solar NewsBlog, new connection technology, Omaha Public Power District (OPPD), OPPD's Community Solar, utility-scale solar development in Nebraska on March 27, 2018 by Helen Deffenbacher. Mission of Mary, a faith-based urban farming organization, creates oases of sustainability in economically struggling East Dayton neighborhoods, with five plots growing organic produce and bringing together neighbors in the Ohio city. The expanding organization is installing a geothermal heating system for its new headquarters. And using solar to power the renovated inner-city building would be a natural choice. But especially since it is a nonprofit that cannot take advantage of federal tax incentives, the price tag for solar had seemed too high. Now, however, Mission of Mary is on its way to going solar thanks to RE-volv, a national nonprofit organization that is enlisting “solar ambassadors” at colleges to raise money to put solar on nonprofits, and creating a revolving seed fund to buy solar for more nonprofits in the future. This entry was posted in Financing, Nebraska / Midwest News and tagged crowdfunding for nonprofits's solar projects, Mission of Mary, Nebraskans for Solar News/Blog, RE-volv on March 27, 2018 by Helen Deffenbacher. At the recent Symposium on Sustainability in Venice, CleanTechnica got a first-hand chance to compare how two energy giants, BP and Enel, are managing the road to decarbonization. Enel reinforced its headlong dive into renewable energy while BP underscored a much more cautious path. That contrast came into full force just this week with new announcements from the two companies. 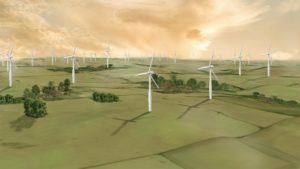 Enel’s big renewable energy news came earlier this week, when the company confirmed that electricity from its new 320 megawatt Rattlesnake Wind Farm in Nebraska would go to two high profile buyers, Facebook and Adobe . . . Meanwhile, baby steps for BP. Read more here. “One thing that differentiates WaterBit is its use of solar power, rather than short-lived batteries, to keep gadgets up and running in the field.” Besides WaterBit, the article briefly describes an additional “10 ventures that have captured the attention of the venture capital and incubation community,” including AquaSpy: “This venture, which originally tested its technology in Adelaide, South Australia, is finding a following in Nebraska, where it helps farmers save an average of 2 inches per acre. It is funded with close to $11 million.” To read more about WaterBit and the other 10 startups, click the article title. To learn more about WaterBit’s use of solar power in irrigation, listen to Episode 117, GreenBiz 350 Podcast starting tomorrow. This entry was posted in Nebraska / Midwest News and tagged Adobe, BP, Enel, Facebook, GreenBiz, GreenBiz 350 Podcasts, Internet of Things, Nebraskans for Solar NewsBlog, Ogallala Aquifer, Rattlesnake Wind Farm, smart irrigation startups, Southwest Power Pool, water efficiency and conservation on March 22, 2018 by Helen Deffenbacher. With the global solar industry expected to reach 100 GW this year, following nearly 20% year-over-year growth in annual installations in 2017, IHS Markit has identified eight solar and energy storage market trends to watch. “Solar Energy and Storage Trends,” a new white paper from IHS Markit, identifies the following significant trends with the most impact on the global solar market: Click here to continue. The IHS Markit white paper can be downloaded here. This College Could Become the First 100% Renewable Campus in U.S., Eco Watch. The campus’ solar-plus-storage project—consisting of 2.8 megawatts of solar PV and 13.2 megawatt-hours of battery distributed energy storage—is scheduled to become fully operational by 2019. Linda Cheung is founder of the nonprofit Before It’s Too Late. Last semester, she helped students at Miami’s Cushman High School produce 360 degree films about local climate issues. One of ACC’s ten Principles of Conservative Environmentalism: “A conservatism that does not practice restraint, humility, and good stewardship—especially of the natural world—is not fundamentally conservative.” Initiatives include the development of an environmental scorecard of Republicans in Congress. This entry was posted in Energy Storage, NewsBlog and tagged American Conservation Coalition, Before It’s Too Late, Clean Energy Group, corporate buyers of utility-scale renewables, green campuses, IHS Markit, Institute for Sustainable Communities, Nebraskans for Solar NewsBlog, RE 100, renewable energy news, renewable energy's economic benefits, renewables + storage, renewables and resilience, The Brattle Group on March 21, 2018 by Helen Deffenbacher. USDA Assistant to the Secretary for Rural Development Anne Hazlett recently announced that the Rural Energy for America Program (REAP) is accepting grant applications for renewable energy and energy efficiency improvement projects. The application deadline is April 30, 2018 for grants and loan/grant combinations. Small businesses in eligible rural areas and agricultural producers, both rural and non-rural, who have at least 50% of their gross income coming from agricultural operations, may apply. Check eligible business addresses. 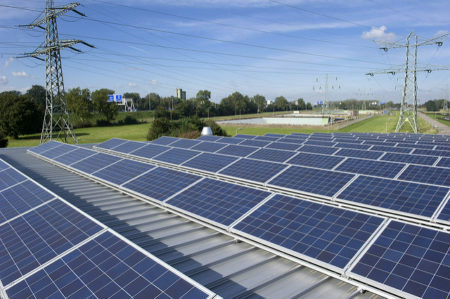 The terms for renewable energy system grants are from $2,500 minimum to $500,000 maximum and for energy efficiency grants, from $1,500 minimum to $250,000 maximum. This entry was posted in Financing, Nebraska / Midwest News and tagged Jeff Carpenter - Nebraska Rural Development Energy Coordinator, renewable energy and energy efficiency grants and loans, USDA Rural Energy for America Program (REAP) on March 20, 2018 by Helen Deffenbacher.